Another great look for young ladies who want to make some fun! 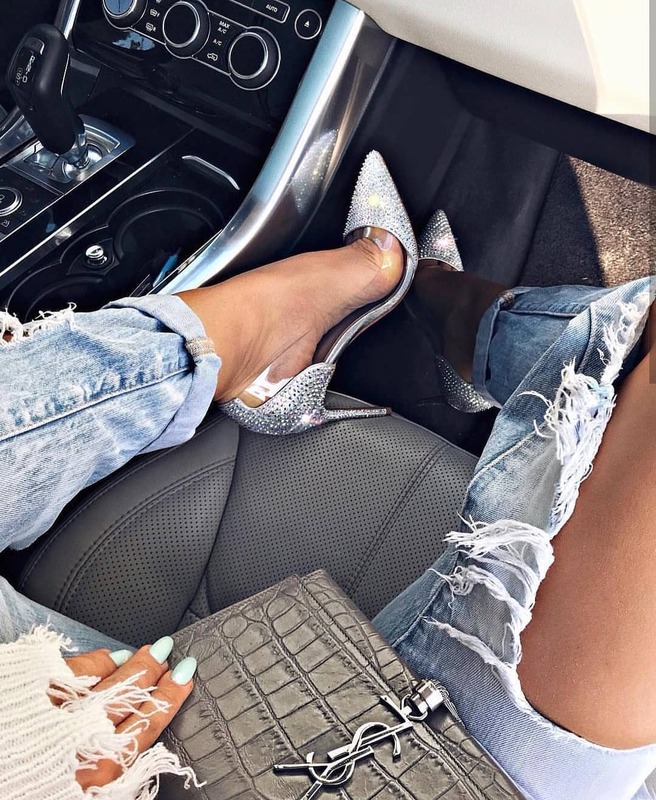 We see ripped boyfriend jeans paired with silver metallic pumps for Summer season. An ideal combo for casual parties.